Having looked at the radar situation, I take a look at the IR satellite image covering the same area. To get to the region of interest, click on the map image above, then select a region from the map that follows. Note that the CONUS option is parked over Mexico, which might not be inuitive. 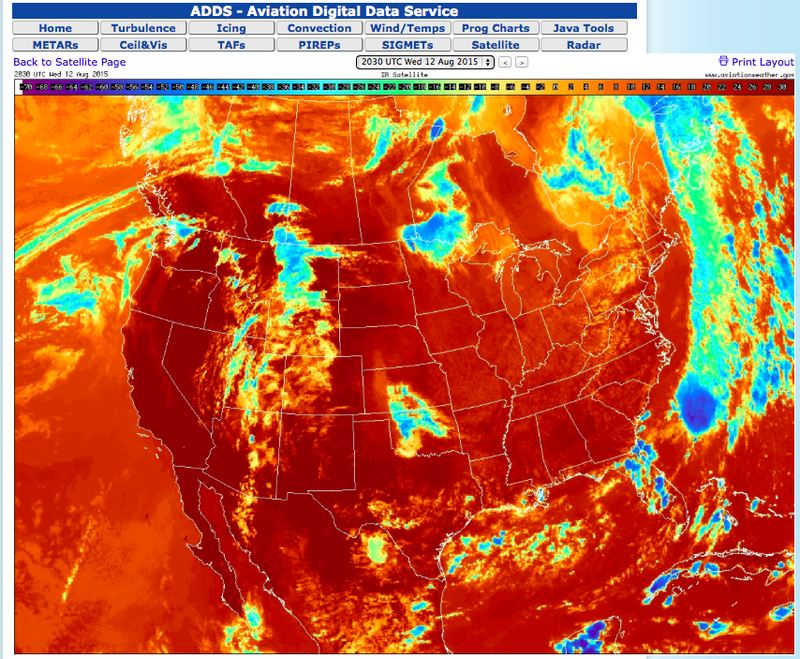 Once the regional sat picture is up, select Infrared (Col) under type in the upper left menu. Different regions can be selected here, as well as other options such as visible satellite imagery.